Knights Armament M4 RAS carbine drop in rail system. 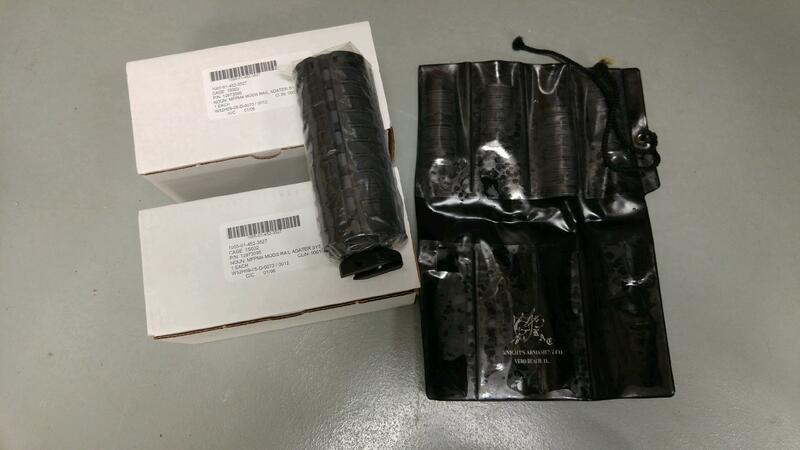 These are 7" quad rails, brand new in package with rail covers and vertical grip. $155 shipped via Priority Mail. Several sets available. Please send email. We are a retail gun store in Alaska and do not accept Paypal. Money Orders or Credit Card over the phone (no extra fee). Will also trade for rare AR15/M16 magazines or retro parts or accessories.